Ready to give hand piecing a try? Want a simple project that you can make whatever size you'd like? Then this is the class for you. You can make this a true charm quilt with no two fabrics alike, or you can choose a theme. 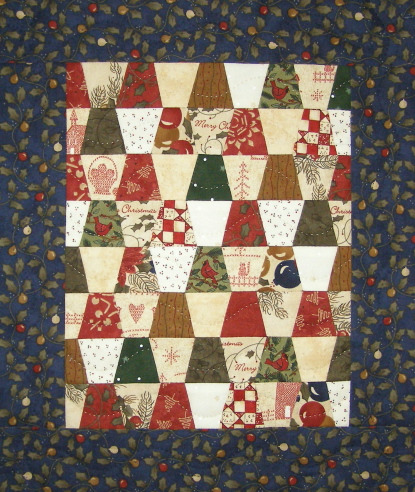 In class you will learn to mark for accurate piecing, how to hand stitch, how to press, and how to trim the seams to reduce bulk and make the quilting easier. Beginner friendly, but all skill levels welcome.